It is hard to believe that it is time to start thinking about back-to-school. But the new school year will soon be upon us. We are looking forward to the new Sunday School year at Good Shepherd in Old Bridge and are excited to be introducing a new curriculum. Our teachers and volunteers have been busy preparing to get ready. We want to let you know that things are getting “KICKED-OFF” on Sunday, September 9, at 10 am. Please note the difference in time for this one Sunday. We will be doing the Blessing of the Backpacks and recognizing our Sunday School Teachers for the new year. Following the “Kick-off Celebration,” we will be hosting our church picnic with games and other family fun activities. So make sure to mark your calendars for that date. 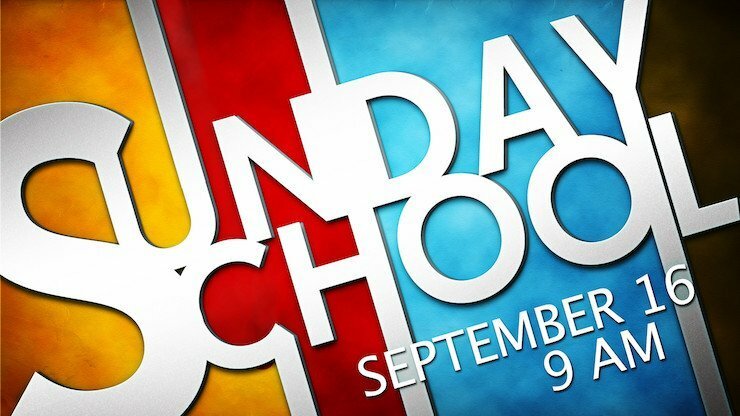 The regular Sunday School Schedule will begin Sunday, September 16 at 9 am. You can download a copy of the 2018-19 Sunday School Calendar. We encourage you to put this calendar on your refrigerator or some other place it will be visible. One of the things that is new with our curriculum this year is that all of our kids from preschool through 6th grade will be focusing on the same story each week. The calendar will help you to remember the story of the day so that you can talk with all your kids about it. Also included with the story for the day is a unique theme for the day. It might be “bring a friend day” or be “backwards day.” All the kids who participate in the theme for the day will receive Bible Bucks that they will be able to redeem at different times of the year. We encourage you to make this aspect of our Sunday School to be fun. Once again, Sunday School will start in worship at 9 am. Parents can sign their children in when they arrive to worship. The kids will be dismissed during the worship service for Sunday School after a special children’s message in the service. You can sign up by filling out a registration form. You can mail these to the church office or turn them in on Sunday morning. The suggested donation for Sunday School is $15 per child or $25 per family. These donations help us to cover the cost of the curriculum and the supplies used by the teachers. Finally, remember that the success of our Sunday School is dependent upon our volunteers. As a parent, we want to encourage you to serve. There are many opportunities to serve on a Sunday morning. If not volunteering to serve with Sunday School, we want to encourage you to serve the church in other ways on a Sunday morning. Many of our volunteers serve no more than once a month, but every volunteer makes a big difference. We pray that your children are blessed and that you are blessed through your participation in the ministry at Good Shepherd. If you have any questions, you can contact us by email or by calling the church office (732-679-8883).